Alongside its new Moto X+1, Motorola is reportedly working on a new Nexus device, codenamed Shamu, that is set to launch sometime this fall, according to Android Police. Despite plenty of rumors suggesting the Nexus lineup was going bye-bye—those suggestions have been refuted, too—it sounds like a Motorola-made Nexus device is a very real possibility. The real kicker, though, is that it'll feature a 5.9-inch display and fingerprint sensor, though no other details regarding specs have been revealed. Speculation over Google's Nexus program has run rampant ever since information over an Android Silver initiative first started popping up. At first we thought we might not see any further Nexus devices, but numerous rumors have claimed we'll actually see a Nexus tablet made by HTC, known currently as Volantis. But what about a phone? LG is typically involved in the Nexus program, but the company recently said it knew nothing about Google's upcoming plans. That seemed to indicate we wouldn't see another Nexus smartphone, but that doesn't appear to be the case. Android Police says they're somewhat confident this rumor is true, giving it a 6.5 out of 10. "Point are deducted simply because hardware plans can change very quickly, even when a prototype device already exists," Android Police writes. "We are confident that Shamu is a real device under active development, and fairly confident that it is a contender for the Nexus program." Being that it's a contender doesn't mean it'll be the device consumers will be able to buy later this year. But Motorola is apparently working on a device, which is supposed to be "targeted at major U.S. carriers, and unspecified carriers in other parts of the world," Android Police said. We recently saw images of what appeared to be the Moto X+1, though unfortunately no images of the alleged Shamu device are available. If Google does plan on releasing more Nexus devices, they're probably a few months away from seeing an official release. 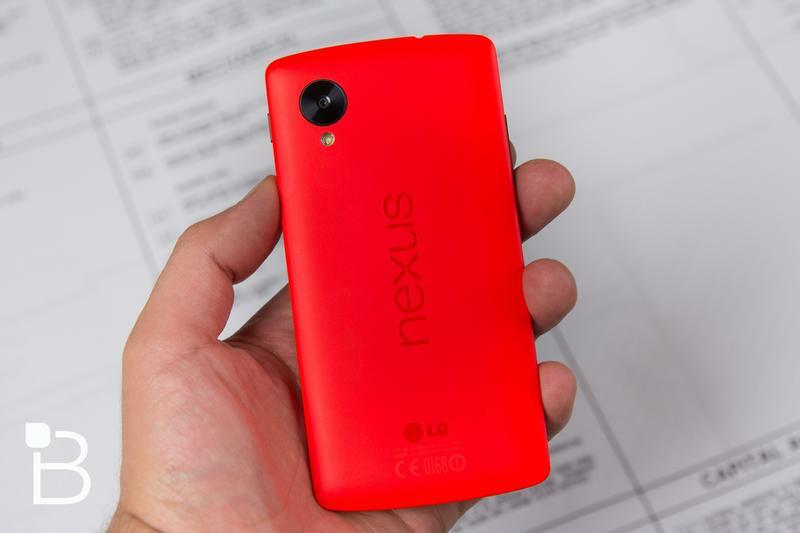 Last year, Google unveiled the Nexus 5 on Oct. 31, so we're still about three months away. With supposed images of Volantis already floating around, however, perhaps we'll get an early glimpse of a Motorola-made Nexus soon.